Flatbox XXL in black piano finish. 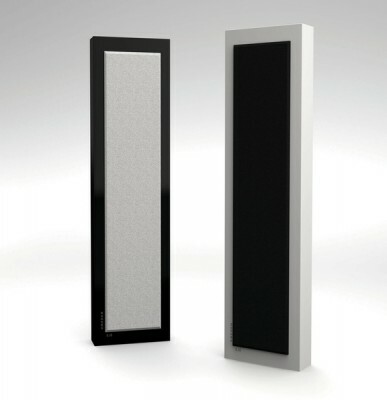 – A design speaker, the perfect alternative if you want small speakers with a superb sound. – The 2.5-way vented design gives this speaker a good bass performance. One 4″ driver works as bass driver, and two other 4″ drivers work combined as bass / mid drivers for a full and rich sound in the bass / mid range. We also use our best 30 mm tweeter for a crystal clear treble. – The cabinet comes also in white silk finish.